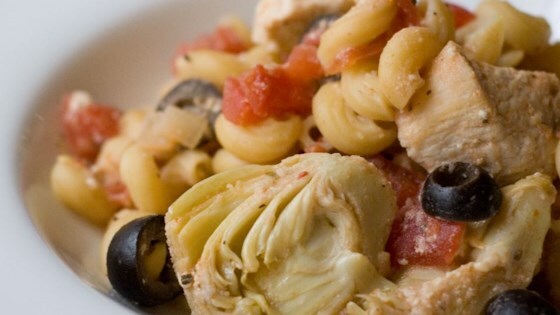 "This pasta dish incorporates some of the flavors of Greece. It makes a wonderfully complete and satisfying meal. For extra flavor, toss in a few kalamata olives. Use whatever pasta you have or prefer."